Germany can be a great nation to relocate to in pursuit of an exciting career opportunity, as the country specializes in a number of different vocational fields. However, while gaining access to the country is not particularly difficult (you will not need a Visa if you plan on staying for less than three months and not working during this time), actually gaining the authority to remain and work in Germany is a little more challenging. The German government welcomes immigration from all over the world, but will tend to only hand out work permits for non-EU nationals that can prove that they will bring a unique and important skill set to the country’s labor force – if you are not degree-educated you may be best served looking elsewhere. Alternatively, now would be an excellent time to looking into any European ancestry that you may have that will qualify you for dual nationality or an alternative passport! You will not need a Visa to enter Germany for less than ninety days if you are a US passport holder, but you will need to provide proof that you do not plan on sticking around longer than this time. You won’t get very far if you attempt to fly into Germany on a one-way ticket with no return date in place, so ensure that this is not the case. You should also provide evidence of your accommodation whilst in the country – if you are not staying with friends or family and plan instead on spending ninety days in a hotel, you may need to prove that you can afford to financially support yourself during this visit. If you have the intention of staying longer with a view to making a permanent relocation, consider applying for a Job Seeker Visa. This will allow you to stay in Germany for up to six months. 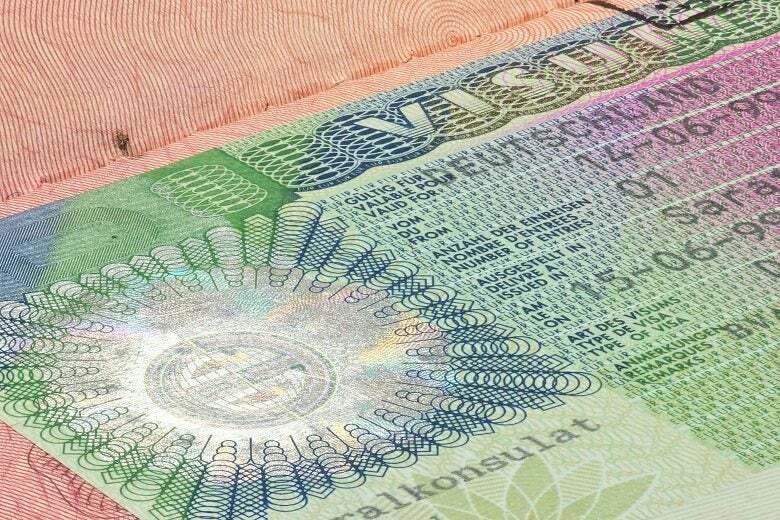 If you enter the country using this Visa and find a job within these six months you’ll be able to transfer straight onto an employment permit, but there are restrictions on who is eligible. To qualify for a Job Seeker Visa, you must meet all the criteria outlined in the What You’ll Need to Apply segment of our guide, as well as five years or more of study experience in the field that you intend to find work within. If you’re planning on making your stay in Germany somewhat permanent, you’ll have to apply for a residency permit (Aufenthaltserlaubnis), obtained by registering at the Standesamt–Einwohnermeldeamt (aka the Registration Office) of your local town once you’ve arrived – or in advance through a German consulate or embassy in the States. A residency permit is typically assigned for twelve months and can be renewed at the end of this period , assuming that your circumstances have not changed (if your job did not work out, for example, and you decide to study instead, your Aufenthaltserlaubnis will be invalid). After five years, you will be entitled to apply for a permanent residence permit. This Aufenthaltserlaubnis will enable you to undertake general work in Germany throughout the duration of your stay. However, there are a number of restrictions placed upon applicants from the USA. You will need to be educated to degree level or above, and have a job offer in writing to present to the governing body before making your application (if you do not have a job yet, apply instead for a Job Seeker Visa). In addition, your employer will need to prove to the German authorities that the position could not have been filled by a German national or a member of a fellow EU member state. Your application will be hugely enhanced if you speak fluent German, are educated to an Advanced Degree level and are to be paid an annual salary of €50,000 or higher. This will qualify you for an EU Blue Card, which will allow you to stay in Germany for up to four years, with the right of permanent residence following. If you hold an advanced degree in a STEM field (Science, Technology, Engineering or Mathematics) you may qualify for a Blue Card despite earning less. Good news – US citizens do not need to apply for a Study Visa if they have been accepted on a course by a German university. Instead, just locate your closest Residents’ Registration Office or Aliens’ Registration Office (Ausländeramt) within a fortnight of arriving, where you will be handed a residence permit (also known as an Aufenthaltserlaubnis) – in exchange for a fee, naturally. You will need to have proof that you are enrolled in a course at a local university at this stage, alongside evidence that you have a private healthcare insurance policy and sufficient finance to remain in the country without relying on state benefits. If you have not yet found the appropriate university for your course and are planning on basing yourself in the country while you search for an appropriate position, you could apply for a Student Visa, which will allow you to do so for around three months (potentially extendable for six months if the authorities allow). Upon graduation, you will be entitled to stay in Germany for another 18 months and look for work, though you will be expected to prove that the job you are seeking is connected to your study qualification. You can also work for a total of 120 days over a one-year period while in the country as a student. You can make a start on your application for a German Visa or work permit by filling in the application form that is available online, but in order to complete the process, you’ll need to visit your closest German consulate. You can find your closest such establishment using this link.